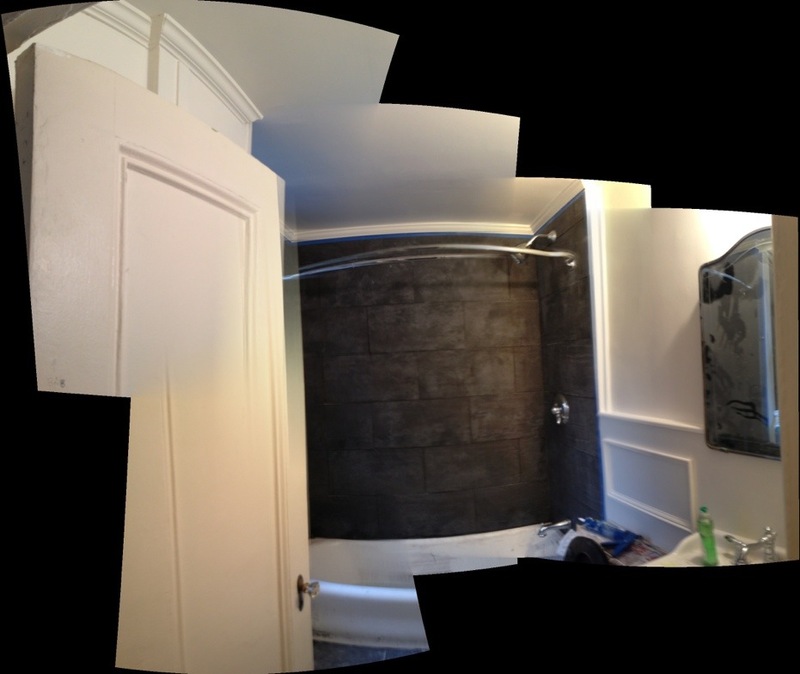 The photo stitching is getting weirder as I attempt to get odd angles. But look! The door has been reinstalled, and it’s painted! I have officially arranged for a cleaning service on Tuesday, so there will be sleeping in the apartment by Tuesday night. A full month after this started. Lovely things we discovered during the course of this project included the fact that the original tile was adhered directly to the building masonry, and the interior walls are not anything simple like wood, or drywall, but rather…poured concrete. At least I know the building isn’t going anywhere.